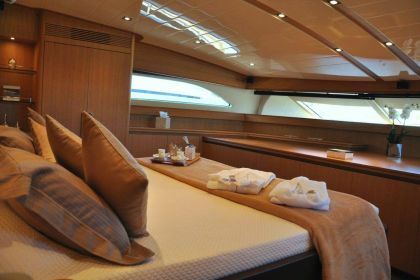 OVERSIDE II was designed by the Canados yard, in a contemporary style and this luxury yacht combines elegance, comfort and performance. 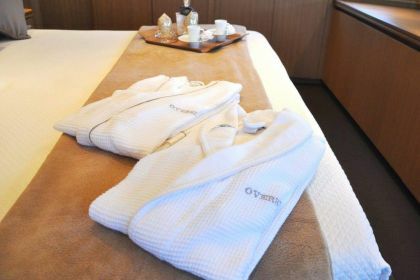 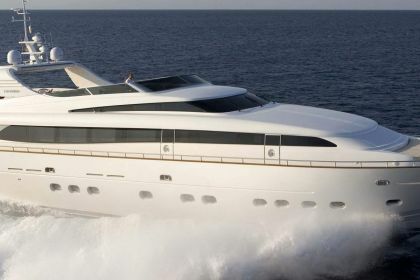 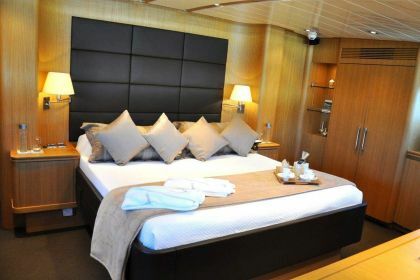 M/Y OVERSIDE II offers luxury accommodation for up to 12 guests in four en-suite cabins and huge Master stateroom on the main deck. 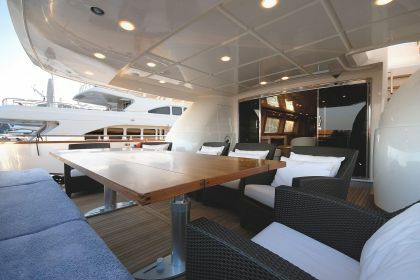 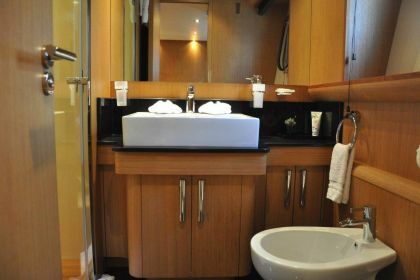 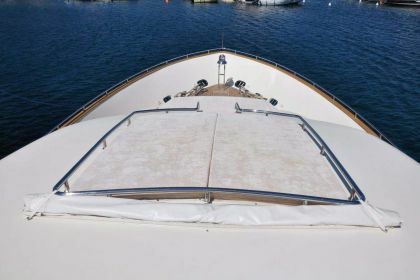 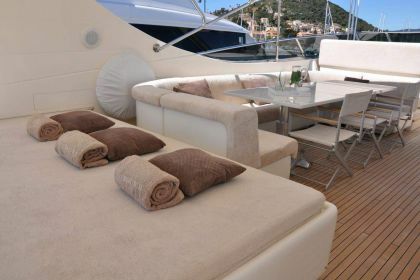 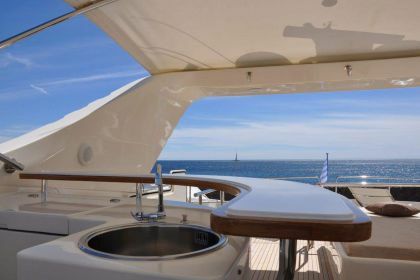 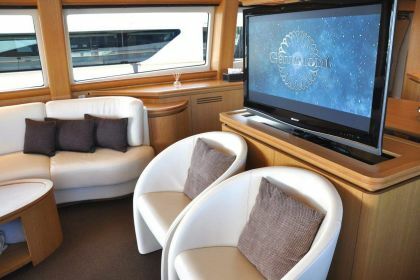 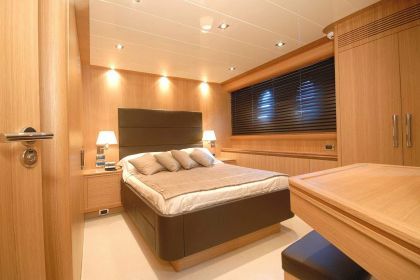 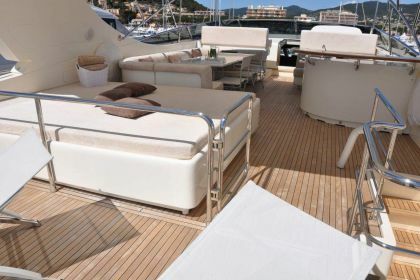 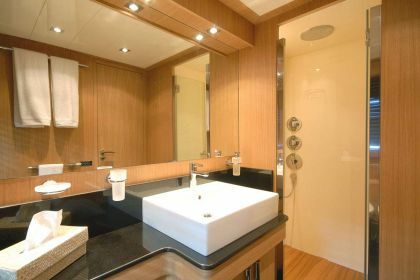 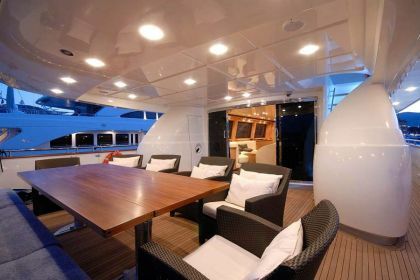 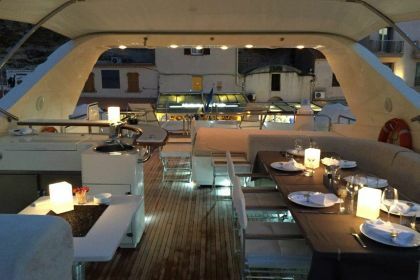 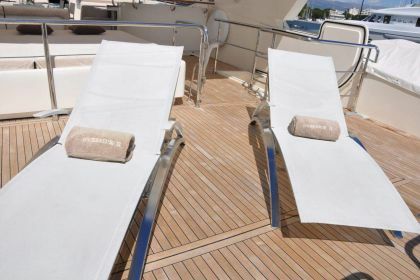 The full–width Master cabin offers a beautiful panoramic view forward and its bathroom is equipped with a Spa Pool tub. 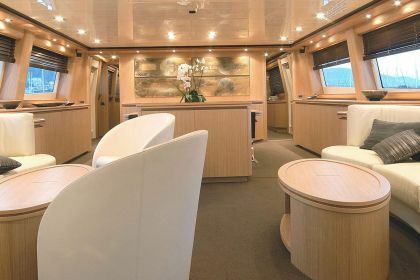 Tender 4.80m Zodiac Luxe Yamaha 80hp 4 strokes ( 5people + 1 crew) 1 x Yamaha FX160 HO Cruiser Jet-Ski Water-Ski adult - can be mono or bi at choice. 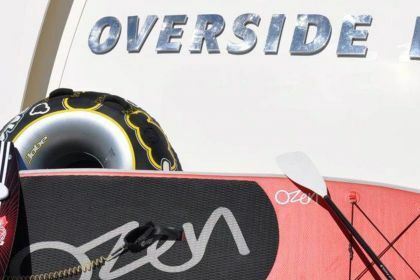 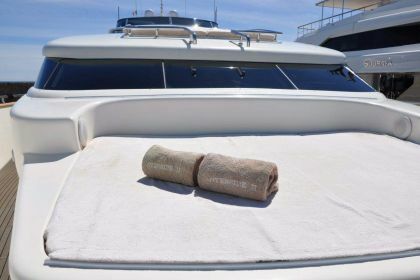 1 x Wake Boards adult Snorkelling Equipment 1 x Paddle The yacht is ready to buy more toys such as banana, sofa and skis or/and snorkeling gear for children upon request from clients who book the yacht.